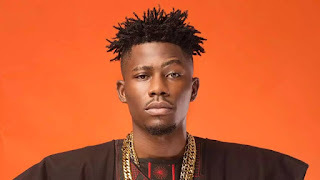 Three months after signing a deal with international record label Sony Music, popular Nigerian rapper Oludemilade Martin Alejo aka Ycee is set to embark on his first international tour. Organized by by Genysis Events, Ycee will be performing in cities like London (January 27), Manchester (January 28), Birmingham (February 2), Swansea (February 3) and Luton (February 4). Following the wide acceptance of his latest single Link Up featuring Reekado Banks, Ycee will also be releasing his highly anticipated EP titled The First Wave later in the first quarter of the year. Since his entry into the music scene in 2012, Ycee has become a household name with the release of songs such as Condo, Omo Alhaji & the very popular Jagaban and its remix which featured Olamide. He also won the Rookie of The Year award at the 2015 Headies.